Julia is a French-born 34 year old astrophysicist at the Space Telescope Science Institute in Baltimore, and a competitive distance runner. She started distance running in early 2014. Prior to that, she was a competitive triathlete, having won several sprint and Olympic distance triathlons. In 2007 and 2008, she was the collegiate champion for the North-East conference. She also qualified for the ironman 70.3 world championship in 2008. 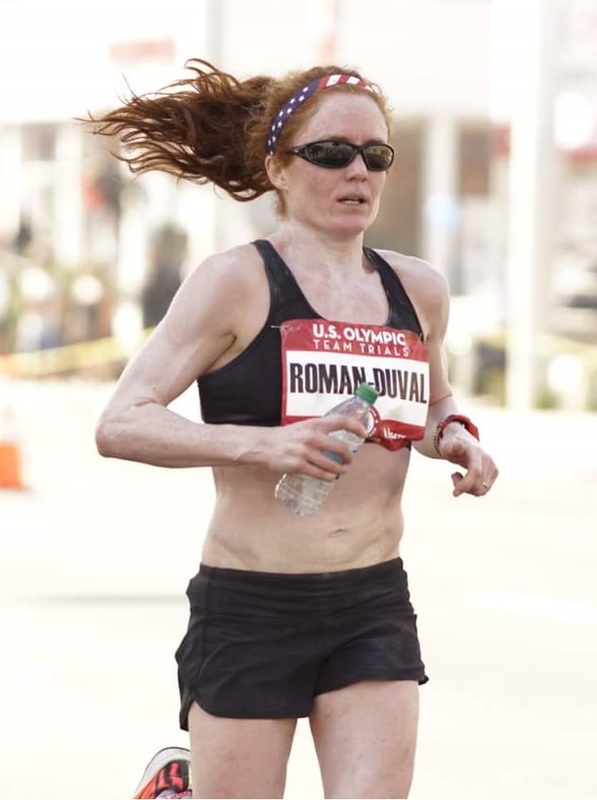 After the birth of her 3 children in 2009, 2011, and 2012, she joined the HoCo training groups and racing team in 2013, who launched her on a competitive running path. Distance running then became a lifestyle. She ran several racing team records between 2014 and 2016. She qualified for the marathon Olympic team trials in December 2015 by running 2:40:55 at the California international marathon. She competed in the trials in February 2016 and finished 50th out of 206 female runners. She broke team records in the 5k (16:56), 10k (34:21), and half-marathon (1:16:41) and finished 4th American at the 2016 Cherry Blossom 10 miler in the spring of 2016 and at the Boilermaker 15k in July 2016. In October 2016, she completed the Chicago Marathon in the elite field, finishing 10th US in 2:42.